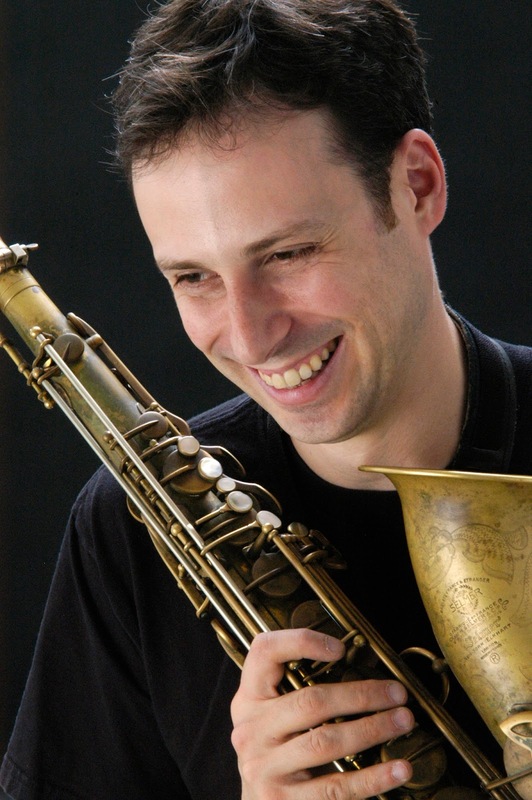 Saxophonist/composer Quinsin Nachoff has become renowned for his unique and ingenious mergers of modern jazz and contemporary classic music. His music daringly ventures to the farthest edges of both idioms while dancing elegantly along the often uneasy borderline between them. While it shares the same roots, Nachoff's new Ethereal Trio takes a somewhat different approach - as the name implies, there's something looser, more elusive and free-ranging, about this trio as opposed to the more rigorous hybridization of some of Nachoff's other ensembles (Flux, the Horizons Ensemble, Magic Numbers). In part, that's due to the musicians involved. 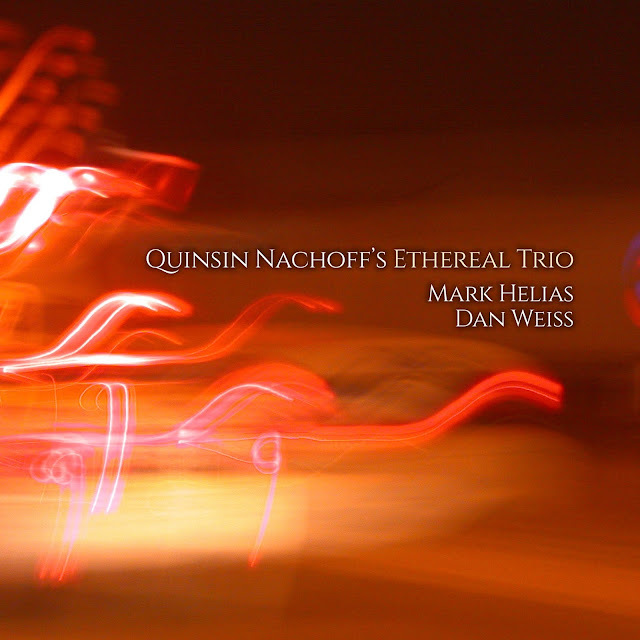 The Ethereal Trio - whose self-titled debut will be released May 19, 2017 via Whirlwind Recordings - teams Nachoff with two of modern music's most forward-thinking artists: bassist Mark Helias and drummer Dan Weiss. Both are inveterate explorers well-versed in absorbing a variety of complex musical vocabularies and expressing them in personal and compelling fashion. But the singularly, well, ethereal feeling of this music can also be credited to Nachoff's astute compositions, which blend methodically composed material with free improvisation in a way that leaves enticing, inspirational space for all three to roam. "As a contrast to some of my other recent projects," Nachoff says, "this ensemble allows me to explore as a saxophonist, visiting different pillars and languages within the jazz tradition but striving for a personal sound and narrative." The Ethereal Trio was birthed directly from the composer's interest in merging jazz and classical influences. Nachoff was commissioned by the Penderecki String Quartet to compose "Stars and Constellations: Scorpio," a piece for string quartet and saxophone trio, which prompted the New York-based, Canadian-born saxophonist to further the idea of establishing a chordless trio as a distinct project away from his larger ensemble successes. A stand-alone concert with seasoned Helias and Weiss created the conceptual spark, and following the writing of new material early in 2016, a series of concerts in New York, Toronto and Montreal neatly led to this recording. 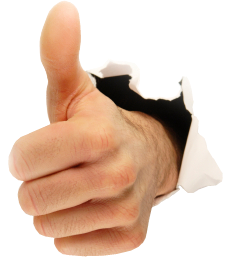 "I enjoy writing this way as it gives me two distinct voices that I can really work with," Nachoff says. "As a bassist, Mark Helias is such an experienced musician - I can compose harmonically or contrapuntally and he always expands it to such an extent that we're never missing harmony; if we play in more of an open setting, it leaves us more freedom. Dan Weiss is a master of dealing with anything rhythmically -so he can be very free within even something very structured. All three of us love to investigate different colors and extended techniques, so many different directions are possible. Once we've understood what the direction is for each composition, that's when the magic starts to happen." Each piece on the album has its own plot and internal logic, yet the trio's predominant vibe is searching and otherworldly - hence the "ethereal" tag, which should not be understood as implying something delicate or dreamlike. This is fiery, passionate, relentlessly venturesome music that boldly seeks new discoveries in the far reaches of Nachoff's structures. The titles seem to juggle left and right brain notions in provocative ways, suggesting a mixture of art and science that finds equal stimulation in both the speculative and the cerebral. 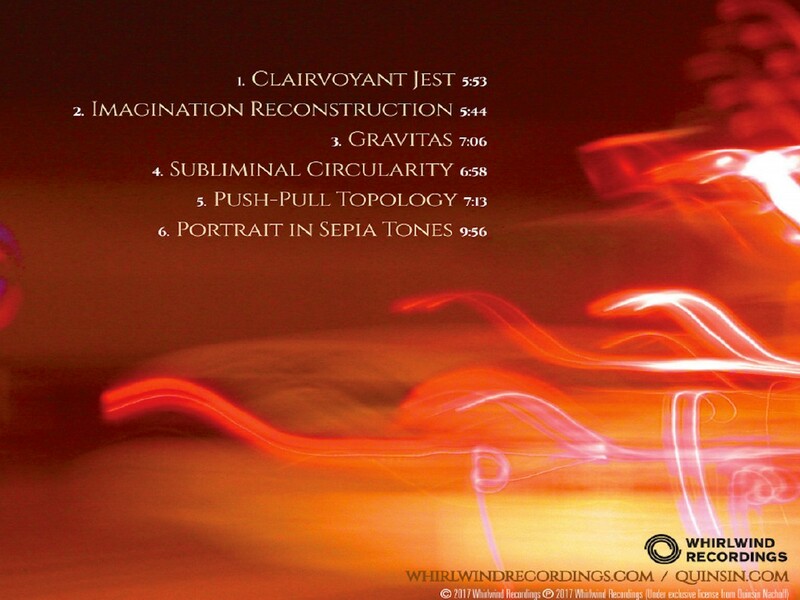 "Clairvoyant Jest" opens the album with Nachoff's saxophone dancing across rhythmically twisted swing, characterized by double-stopped, open-stringed bass and harmonics which highlight the harmonic motion. "Gravitas" follows, focusing on freer response and reflection as its questioning saxophone motifs are interpreted by arco bass. Suggesting a change in our imaginative picture of the world, "Imagination Reconstruction" pairs sax and Helias' bass harmonics magnificently, and the ten-minute progression of "Portrait in Sepia Tones" ramps up into a superbly percussive maelstrom. 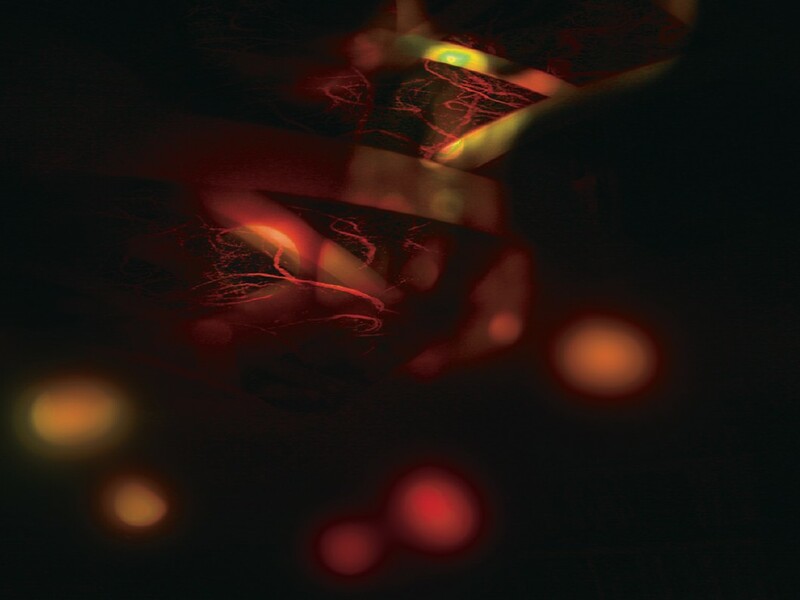 "Push-Pull Topology" possesses an underlying walking bass thread, stretching and pulling different rhythms - fives over fours over threes - while the bristling landscapes of "Subliminal Circularity" summon the leader's equally raw and rippling saxophonic tones. 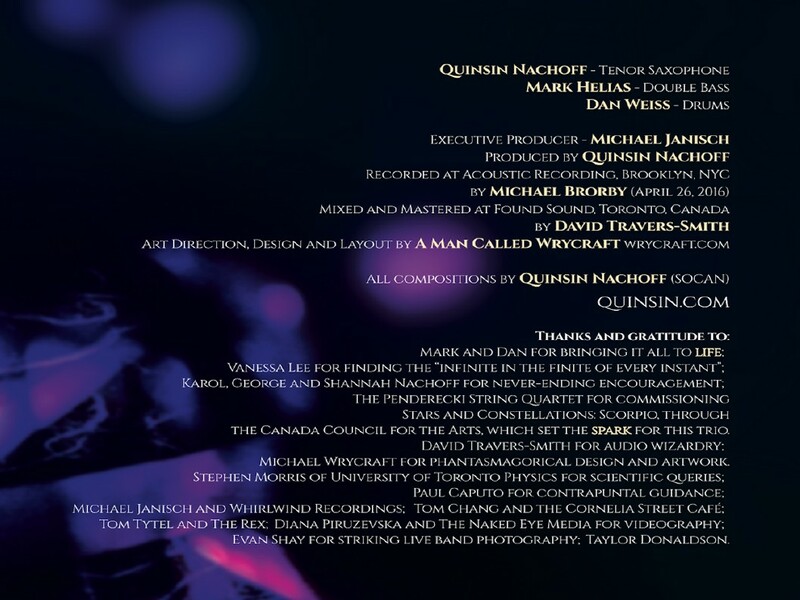 Quinsin Nachoff relishes the freedom and the opportunities this trio offers: "I'm regularly involved in projects which include a lot of composing, arranging and organizational effort to make them happen. This Ethereal Trio album became much more about simply playing the saxophone, which was extremely fun and rewarding - and these musicians are such a pleasure to play with. That's the world I like to live in."